Stardust features fresh new design by Toomas Pintson inspired by modern art and cubism. In addition to unique back design, Stardust back features 3 vibrant red, yellow and blue Pantone colors that make cardistry and magic very fun to practice and perform with. Manufactured by The United Sates Playing Card Company. Made in USA. 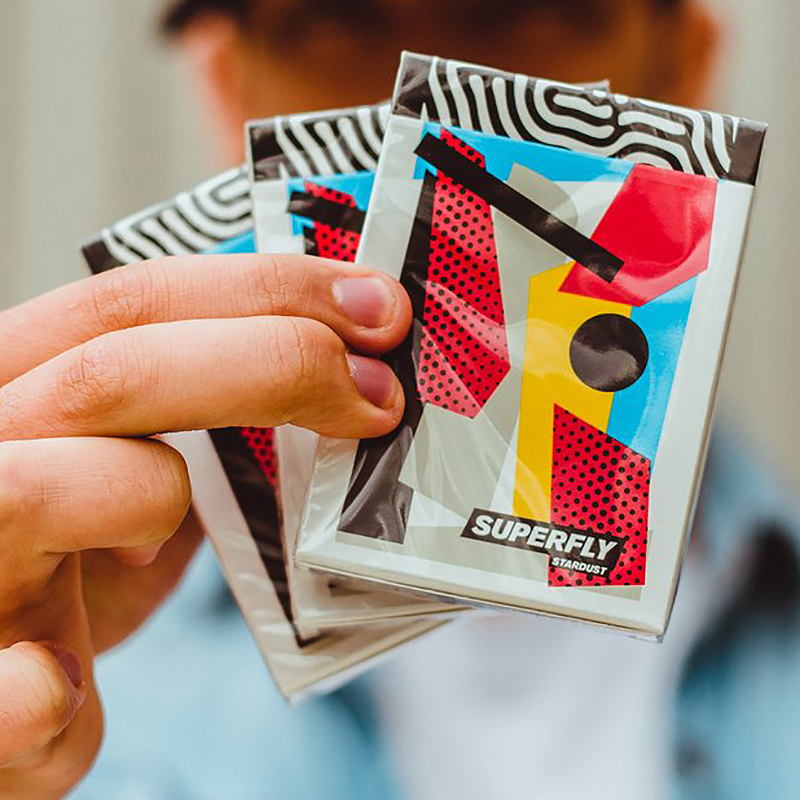 • Limited to 3000 decks. • The cards are poker size. • Soft crushed premium stock.